East Jackson is where some of the older subdivisions are scattered about. Most of these small city lots were broken up by multiple families early in the history of Jackson Hole Real Estate development. Most of the homes are a bit older on these older streets but there is now a movement of locals starting to fix up these older properties and clean up the neighborhoods a bit. Most prices in East Jackson ever attract sales prices of over 1 million dollars; however a few new nodes of developments are attracting better prices with some new construction. The St. Johns Hospital and most all medical clinics are in this area and have greatly improved this side of town with new modern building complexes with attractive architecture. One such node is the Gill Addition, which has a uniquely desirable location close to the south boundary of the Elk Refuge. A few of the well to do old timers had built some of the larger homes in Jackson Hole in this subdivision and it continues to do well. There are about a hundred residences in this area. Some second home buyers recognize the unique location of the properties and will re-develop a few adjacent lots with new homes that are well worth over a million dollars in the Jackson Hole Marketplace if they were ever listed. The close proximity to the town square is also attractive to these Jackson Hole Buyers seeking unique property close to downtown Jackson. 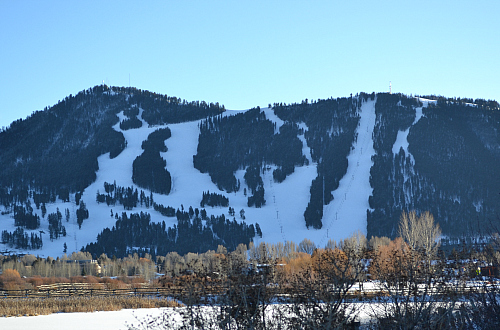 Located 5 blocks from the town square of Jackson Hole is our original town Ski Area created in the 1950′s. The area has several nodes and smaller townhome and condominium subdivisions around it. In recent years these real estate nodes have been getting a major facelift. The Snow King Resort now has a new master plan and many beautiful new Townhome Projects. These spacious and very popular units are selling as fast as they are finished. At the base of the Ski Area, these Western-style Lodges are also in a short-term rental are and are great real estate investments for those seeking rental income. The large floor plans and open cathedral ceilings are just a few of the nice appointments within the units. The Love Ridge units have great views of the Valley as well as the mountains. Owners choosing to rent their units also enjoy the amenities of the Snow King Resort and Ice Skating area as well. plans with good views of the valley and mountains. 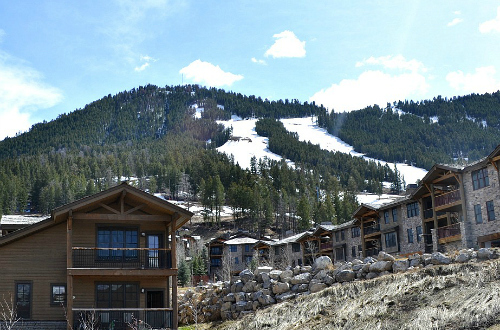 The convenience of these condominiums at the base of the mountain makes them popular In both summer and winter months. The units are also in the short term rental overlay and are very popular units in the moderate range of pricing. They too have garages and parking areas with good ski storage areas. These townhomes are moderately priced and also are a popular choice for both locals and those second home buyers looking for short-term rental potential. The location is very good and each unit is very well laid out with spacious rooms, decks and good views of Snow King Resort.